Dr. Stefan Petry is a Lecturer in Finance at the Alliance Manchester Business School. Previously, he was a visiting professor at the Frankfurt School of Finance & Management in Germany, lectured at the University of Melbourne in Australia, and spent 5 months as a visiting scholar at the Wharton School. His primary research interests include empirical corporate finance, corporate governance, market microstructure, and textual analysis. His papers have been published in the Journal of Financial Economics and the Financial Management journal. 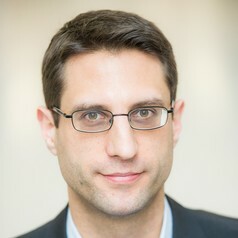 For his teachings, Dr. Petry was awarded a Dean's Certificate of Excellence in Undergraduate Teaching at the University of Melbourne in 2014, received the second highest teaching ratings at the Frankfurt School of Finance & Management in 2016, and was nominated for best lecturer in the Faculty of Humanities at the University of Manchester in 2017. While at the University of Melbourne, he had been the recipient of two Teaching Innovation and Staff Development grants to explore and improve the interaction and learning experiences in large subjects. Dr. Petry has been teaching Foundations of Finance, Corporate Finance, International Finance, and Mergers & Value Creating Strategies at the undergraduate and graduate levels, and empirical methods in Finance at the PhD level. He has also been involved in developing and teaching Executive MBA classes. Dr. Petry received his MPhil and PhD from the University of Cambridge. During his PhD studies, he was a visiting scholar at the NYU Stern School of Business and the UCLA Anderson School of Management.